Heat the coconut milk, honey/maple syrup and salt in a pot over medium-high heat. When mixture has boiled, lower the temperature and allow sauce to simmer. Simmer for 30-40 minutes, stir frequently and scraping the bottom. Burned bits are okay-they add the flavour! 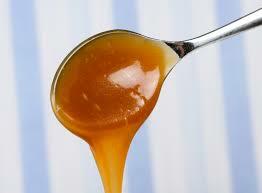 Once the sauce is thick and syrupy remove from heat. The caramel will continue to thicken as it cools. Add the salt, coconut oil and vanilla, stirring to mix the fat, then leave at room temperature to cool. This can be stored in your fridge for up to 2 weeks.